Top Sims Contest: Round 6 Vote, Round 7 Submissions! Congratulations to LtCmdr. Karynn Ehlanii and FltCapt. Sidney Riley for “Informal Friendship,” (Round 4 Winner) which is continuing onto the semi-finals, at the end of the year. And, Congratulations to Cmdr. Jaxx and LtCmdr. Townson for “Voice From Another Place” and to Ehlanii, Brice, Mar, Riley and Walker for “Love Is A Temporary Madness” (Round 5 Winners) which are also continuing onto the semi-finals, at the end of the year. You can now vote on the submissions from Round 6, and submit new sims for Round 7! 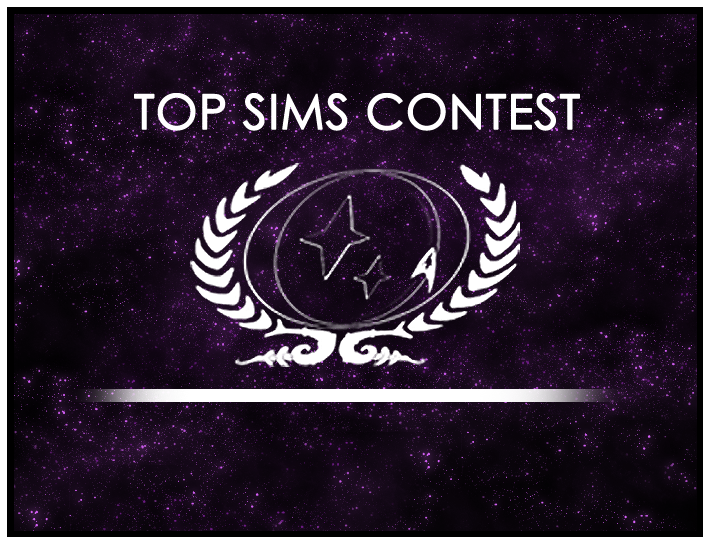 Head on down to the Tops Sims Contest forum and get to voting! Top Sims Contest Is Back!